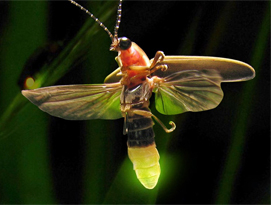 The thought of fireflies or lightning bugs takes many of us back to fond childhood summer evening memories. Did you know there are over 200 species of these enchanting creatures worldwide and over 50 species found in Florida, but not all of them produce light? Learn about this member of the beetle family’s life cycle, how and why they produce light, and the best time of year and location to experience them in Volusia County. Participants can use upcycled materials to make a take home craft following the presentation.